MMpumalanga means “the place where the sun rises”, and while it may be among South Africa’s smallest provinces, what it lacks in size, it makes up for in spectacular natural diversity. Mpumalanga is home to the world-famous Kruger National Park, the Blyde River Canyon and the region is also dotted with numerous nature reserves teeming with flora and fauna. This province is a true South African showcase of natural beauty boasting wonderful establishments and people doing their bit for tourism. Tourism Month is crucial for promoting domestic tourism and is a wonderful opportunity to build a culture of travel among South Africans. Tourism Month also provides the tourism industry with the opportunity to focus on the impact of tourism for the local economy, and the role that each South African can play in contributing to positive tourism growth. Mpumalanga recognises the importance of this and promotes tourism growth wherever possible. Sustainable tourism is committed to achieving a low impact on the environment and local culture, while helping to generate future employment opportunities for the people of the region. Mpumalanga promotes sustainable tourism through an intense focus on biodiversity and conservation. Mpumalanga Tourism and Parks Agency understands the vital importance of having a solid foundation and continuing flow of information on biodiversity in the province, and plays a fundamental role in decisions relating to sustainable development and conservation in the province. The province boasts a high level of biological diversity, with three recognised centres of endemism in the province (Barberton, Sekhukhuneland and Wolkberg) and one proposed centre of endemism (Lydenburg). Dullstroom is a wonderful example of how a small town in Mpumalanga has become a must-see destination for both local South African and international visitors, as well as an example of tourism sustainability in action. Dullstroom business owners have recognised their assets – beautiful scenery, excellent fly-fishing and the ideal stop between Nelspruit and Gauteng – to promote tourism development for a stable economy and community. Generations of families have remained in Dullstroom because they have reliable well-paid employment in the tourism economy and many opportunities to enhance their skills and education. Dullstroom is known for its fishing, and small businesses in the town itself have played a major role in tourism growth. Dullstroom Butchery, The Biltong King, supplies “the best biltong in town”, putting Dullstroom on the map for culinary reasons. Dullstroom Butchery the Biltong King hires and trains local employees to ensure that its reputation exceeds expectations. By providing a selection of biltong and fresh meats in this small town, the butchery has not only created employment for locals but has also given travellers a great reason to stop over in Dullstroom when heading to the Kruger. When buying from Dullstroom Butchery the Biltong King, you are not only getting the best biltong in town, but supporting the local community as well. Tourism development in Dullstroom has had a profoundly positive impact on both black and non-black community members and these benefits exceed economic gains. Mpumalanga is ready to celebrate tourism excellence and the players who deliver product and service excellence, such as was experienced in this province. 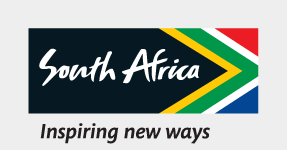 Showcasing, celebrating and recognising South Africa as a destination of excellence attracts visitors to South Africa. Mpumalanga is most certainly playing a large and influential role in making tourism as successful as possible in our beautiful country.